August Drawing Contest Winner Announced! Dylan Nett is our August Winner! Congratulations to: Dylyn Nett of Berlin, NH!!! 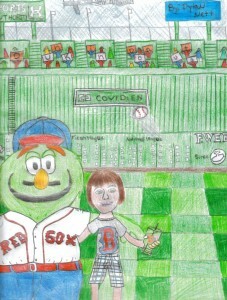 Not only did Dylyn get a free donut for his artistic effort, he’s heading to Fenway Park in September! Thanks to all who participated in this summer’s contest and go Sox!